drop in hemoglobin volume too, resulting in anemia. Anemia can cause fatigue and a rapid heartbeat. And while folate can help to address these symptoms caused by the shortage of iron in the blood, in recent health news, researchers are now wondering if a multivitamin might be the better solution. Medical scientists at Emory University in Atlanta, Georgia, recognized that anemia is one of the most pressing global public health problems and affects a staggering 1.62 billion of the world’s population. In fact, anemia contributes to almost 120,000 maternal deaths globally — though this statistic mostly reflects the presence of nutrient deficiencies in developing countries. randomized controlled trials using search engines like PubMed, the Cochrane Library, and World Health Organization Regional Databases. The researchers found that there was no difference in terms of health benefits between multiple micronutrients and iron folate supplements only on maternal anemia in the third trimester. Results were similar for hemoglobin levels. Based on their review, they concluded that multiple micronutrients have a similar effect on maternal anemia compared with iron folate supplementation. The researchers say their findings have to be interpreted in the context of other benefits of multiple micronutrient supplementation, such as promoting better fetal growth. This is something to discuss with your health-care provider if you are going to become pregnant or are going through a pregnancy. 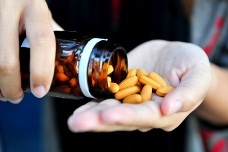 Get your doctor’s advice about the best supplements to take.